It’s easy enough to spot store manager Danny Dunn. He’s the one in the bright red hardhat. His fashion forward haircut and large plastic wood-grain charcoal-rimmed glasses also set him apart. But with or without Danny’s signature style, he stands out as a man who likes to attack a challenge head on, taking his vision and making it so. 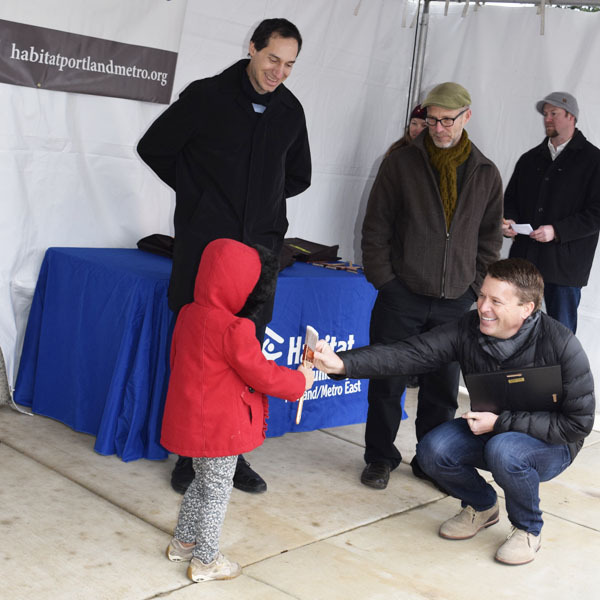 New Glisan Gardens homeowners and their families received ceremonial paint brushes at a special dedication ceremony held January 9. Steve Messinetti, president and CEO of Habitat for Humanity Portland Metro East, did the honors while dignitaries, sponsors, volunteers, staff and well wishers applauded the hard work and promise of a brighter future for the 12 happy families. more about Glisan Gardens Phase 2. 57 miles worth of trim! If you lined up the 60 or so loads of trim WestPac has donated to The ReStore over the past 7 months, it would go roughly 57 miles. That's almost 300,000 linear feet of new MDF trim in multiple profiles and sizes. Builders and other DIYers use medium density fiberboard for baseboards, or to finish out cabinets or shelves. 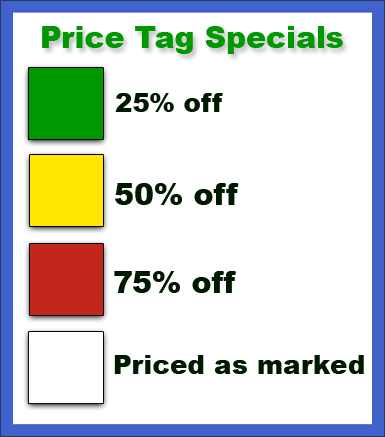 No house can look "trim" without it, that's why its a big seller at The ReStore. Why do they do it? 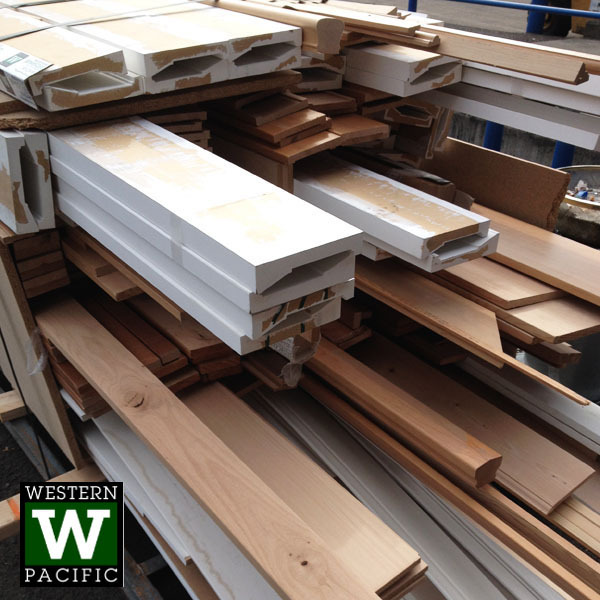 Western Pacific Building Materials President and CEO, Jeff Johnson, and Operations Manager Aaron Prettyman say it's not only logistically easy, but they like knowing they're helping the Habitat cause. 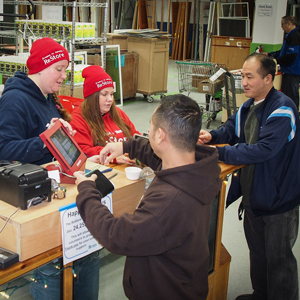 For several years now WestPac has also donated doors and millwork for Habitat for Humanity's Home Builder’s Blitz, an annual event where a team of local home builders, suppliers and tradespeople join forces and resources to build an entire home in a week or two. For Jeff, working along side new homeowners at build sites cemented in his mind the tremendous lifelong impact Habitat's homeownership program has on families. He said WestPac will continue to support Habitat for Humanity and The ReStore. "It's a win all around," Jeff added. We're just "plane" grateful! Not long ago, brand therapist Jason Halstead looked deep into the ReStore's soul to help reconceptualize and reposition our brand. 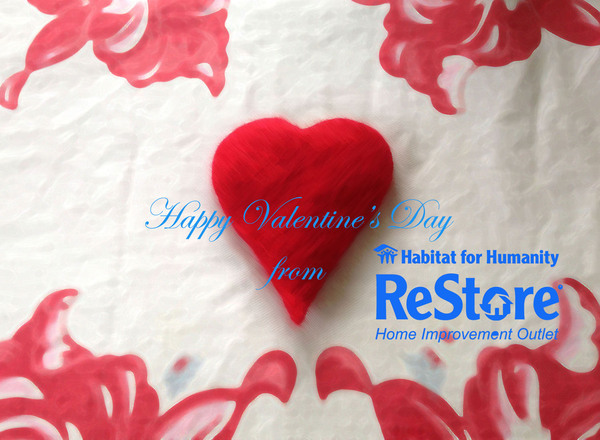 He knows us pretty well, and recently he partnered with The ReStore to cosponsor a Habitat home in Glisan Gardens. Connecting one-on-one with the family and hearing their story enriched the experience for Jason. 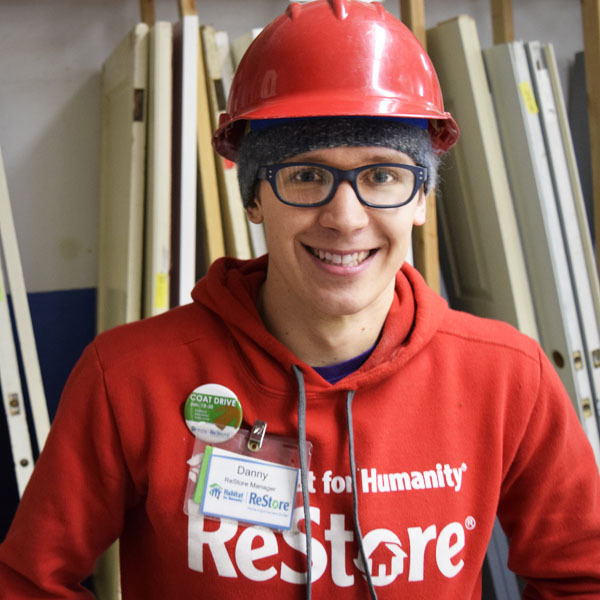 The holistic nature of his work reinforced the growing correlation between The ReStore's sales and Habitat's success. Bag It Forward ballot a win! We did it! With your help we won the privilege of being listed in the New Seasons Bag It Forward program. Starting February 8, shoppers at the New Seasons Market in Cedar Hills will be able to pay their bag refunds forward, donating 5 cents for each bag to The ReStore. So now you can also shop for groceries and build Habitat homes, too! Thanks, New Seasons! Beneficiaries of the Bag It Forward program work to end hunger, support K-12 schools or protect our environment. DIYers get jazzed over the possibilities at The ReStore. New shoppers are always shocked by the variety and value, especially when you consider the upcycling opportunities. When a $45 dresser just won't sell, it's time to think outside the box. A little nip...a little tuck and now it's all that it can be, and with pop! See the results at the Portland Spring Home and Garden Show Feb. 25-28 at the Expo Center. We've got some surprises up our sleeves! 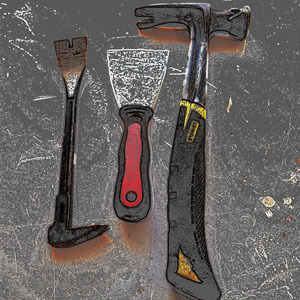 We'll also be hosting radio remotes with Handyman Bob on Saturday, Feb. 27. In January ReStore volunteers logged about 4,000 hours, so you can imagine how many thank you's we owe for their work all year long. We try to do that each and every day, but to make it more formal we throw a party! 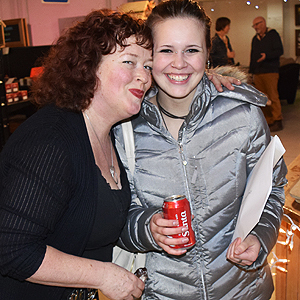 January marked the start of our volunteer appreciation season with Winterfest 2016 at the Portland ReStore. 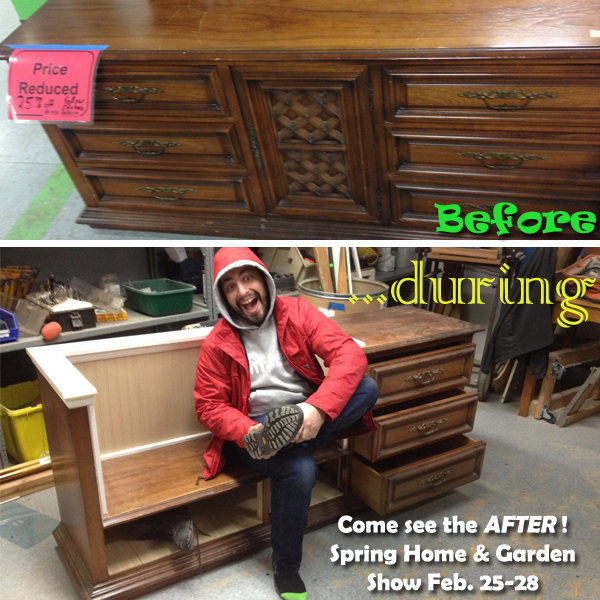 It was so great to see so many people come out for a night of ReStore fun without moving furniture around! Metro's Deconstruction Advisory Group (DAG) continues their work to prepare a recommendation to the Portland City Council. They were originally scheduled to make their presentation to council at their January 27 meeting, but it was rescheduled. Look for them to appear on the Feb. 17 City Council agenda. 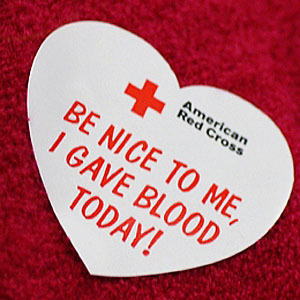 Get ready to roll up your sleeves, The ReStore is holding a blood drive on Friday, March 18 from 10am to 3pm. 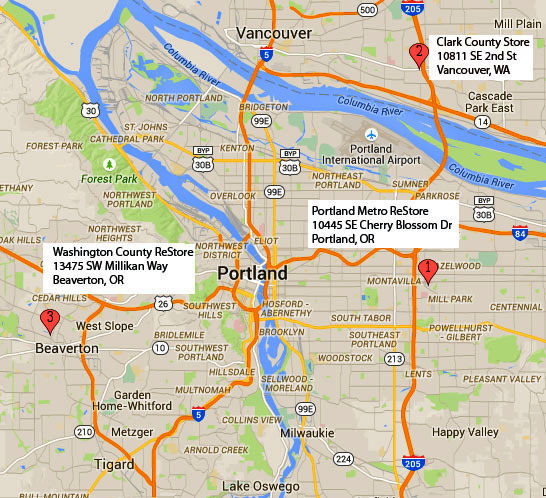 You'll be able to donate blood at any of our three locations: Portland, Beaverton and Vancouver. To find about the process, check out the American Red Cross website. Online registration for the event will begin Friday, Feb. 5. See a vacant storefront that screams The ReStore? Joe Connell, our VP of Retail Operations, is hoping to open a fourth ReStore this year. He's scouting locations now, and open to your suggestions. If you spot something that could work, please contact Joe.